For researchers preparing a PhD or having this grade already (post-docs, professors, etc. ): please complete this form to benefit from the services offered by your Services Centre. We will send you an email confirming your registration number. You are about to fill in an application form to benefit from personalised support during your stay in France. The answers to the questions identified by an asterisk are mandatory and necessary to process your application for registration and subsequently to manage your accompanying file. You are informed that the absence of a response to a mandatory field may compromise the processing and management of your registration request. The personal information collected using the following form is recorded in a computerized file by the Cité internationale universitaire de Paris. Your data will only be processed and used to the extent necessary for the processing of your registration and for the management of the accompanying file. A longer retention period is permitted or required by a legal or regulatory obligation. During the period of storage of your personal data, we undertake to implement the necessary measures to ensure the confidentiality and security of your personal data. 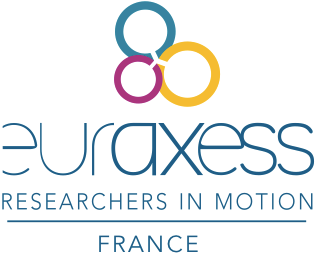 Access to your personal data is strictly limited to the Cité internationale universitaire de Paris, Euraxess services centres, our partners involved in supporting researchers on the move, as well as our subcontractors. They may only use your data in accordance with our contractual provisions and applicable personal data protection legislation. We undertake not to sell, rent, transfer or give access to your data to third parties without your prior consent, unless required by law. In accordance with the amended law n° 78-17 of 6 January 1978, relating to data processing, files and freedoms, you have a right of access, opposition, rectification, portability, and deletion of data concerning you, as well as a right to limit the processing thereof. For any additional information or complaints, you can contact the Commission Nationale de l'Informatique et des Libertés (www.cnil.fr). I have read the above information and am continuing my registration.